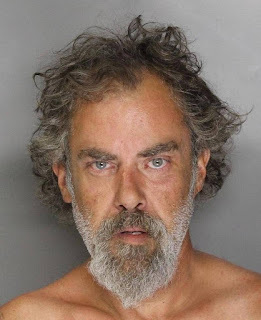 In a jury trial that concluded today at Sacramento Superior Court, a man accused of killing the ex-boyfriend of his then girlfriend was convicted of second degree murder. Robert Gene McCormack was convicted of the murder Kert Lackey and for being a felon in possession of a firearm. The jury also found true the allegation that McCormack personally discharged a firearm causing death. On June 30, 2016, McCormack and his girlfriend invited her ex-boyfriend, Kert Lackey, to their house for dinner. That night, after McCormack overheard a loud conversation between his girlfriend and Mr. Lackey. he struck Lackey twice in the head with an aluminum bat. When Lackey attempted to defend himself, McCormack barricaded himself in the house. As Lackey walked down the driveway toward his car, McCormack exited the house with a loaded 9mm semi-automatic handgun and shot him seven times. Sentencing is scheduled for August 17, 2018 by Judge Pamela Smith-Stewart. McCormack faces a maximum sentence of 60 years to life in prison.